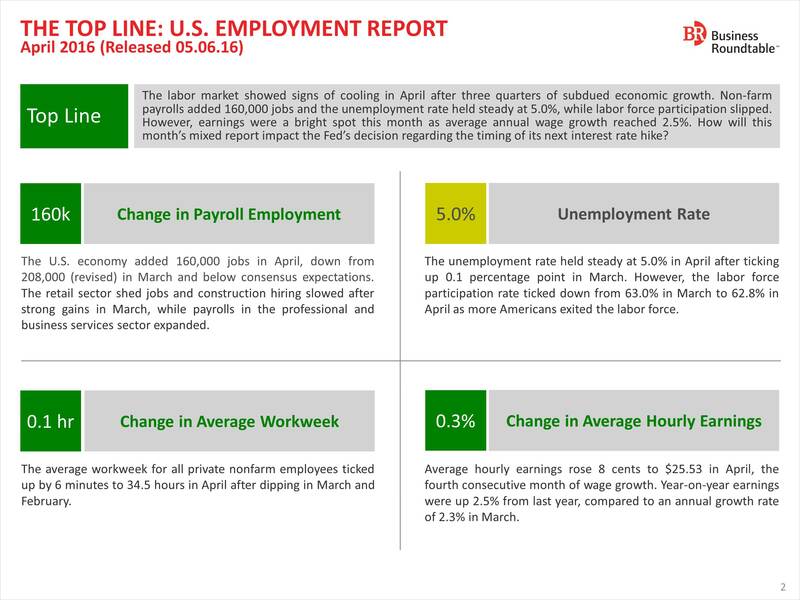 The labor market showed signs of cooling in April after three quarters of subdued economic growth. 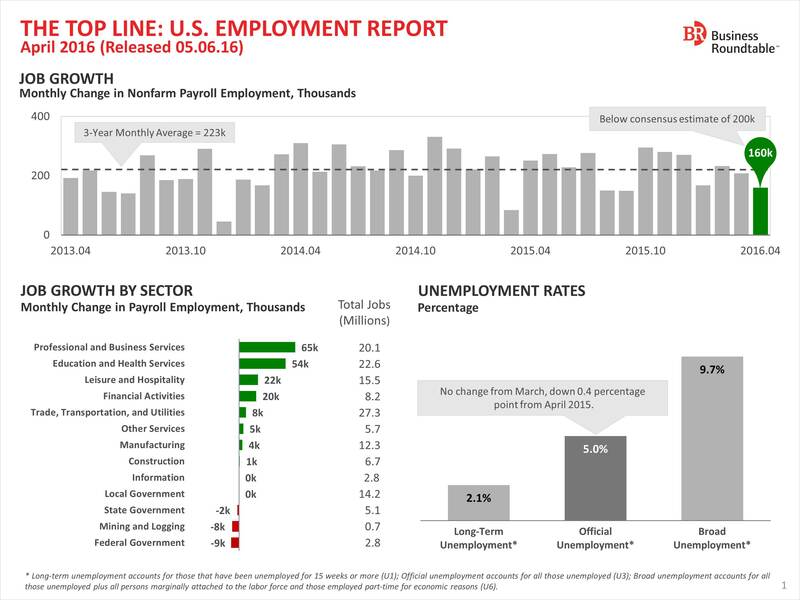 Non-farm payrolls added 160,000 jobs and the unemployment rate held steady at 5.0 percent while labor force participation slipped from 63 percent to 62.8 percent, the Bureau of Labor Standards reported today. However, earnings were a bright spot this month as average annual wage growth reached 2.5 percent. How will this month’s mixed report impact the Fed’s decision regarding the timing of its next interest rate hike? For more detail, see The Top Line below or as a .pdf file here.